It’s been an amazing year. Baby Anders joined our family and he is a sweet, happy, easy going boy. Ava is such a dear, loving big sister. And then there’s Adam who is my rock and love. Cooking (or just figuring out what food to put on the table) used to be super stressful for me because I would come home every day and have “NO IDEA what to make for dinner.” So I started a food blog to create an arsenal of recipes to have at my fingertips. Over time I built a quick list of go-to dinners, and much more. Dinners no longer seem quite as daunting.. I had to learn to be much more creative when I discovered gluten intolerance, and paleo inspired meals have become a big part of our lifestyle. 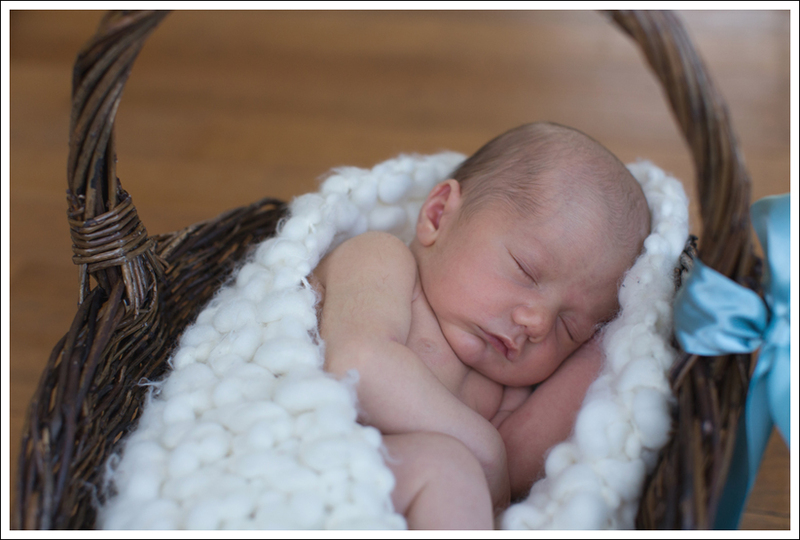 Lauren took this of Anders when he was 8 days old! My latest obsession is food photography (which often takes place with one of the munchkins in my arms). I’m still working on my fashion photography which is just a little harder between (lack of) daylight hours and hands being free, but I am thankful for the creative partnership with Lauren through this blog! It’s been big year for me outside of the home as well, as I joined a new, global team about a year ago, and am in an intense but gratifying role and work with wonderful and brilliant people every day. So yeah, there’s a lot to be thankful for, I think about that every day, but wanted to take a moment to blog about it too during this holiday season. This entry was posted in Uncategorized and tagged holiday, personal on December 5, 2013 by ebchr.